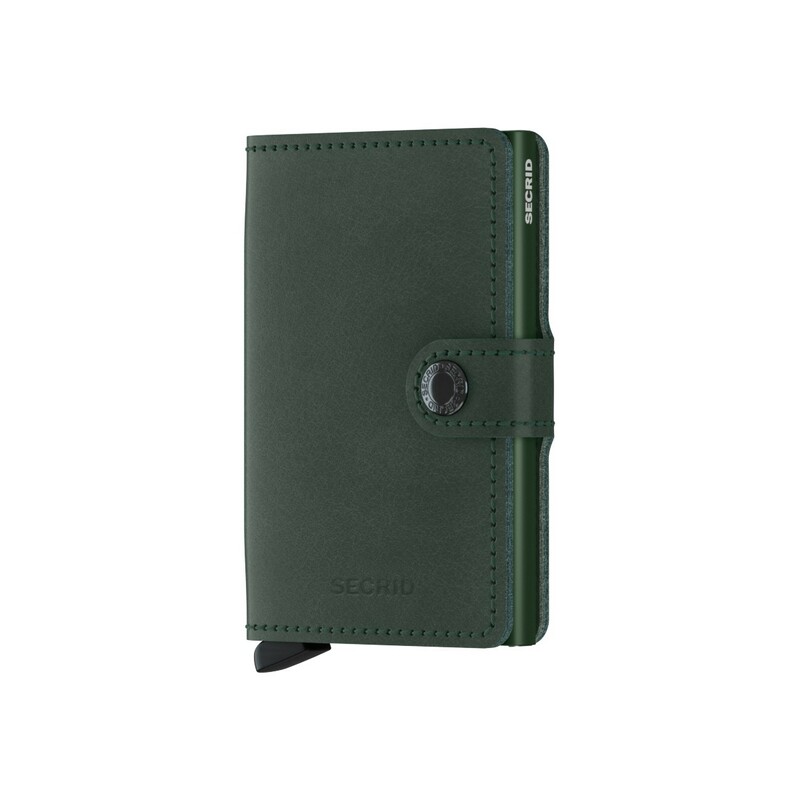 Secrid Miniwallet Original features smooth leather with a natural glossy finish. A timeless classic that fits your style whether you're wearing suit of worn-off jeans. 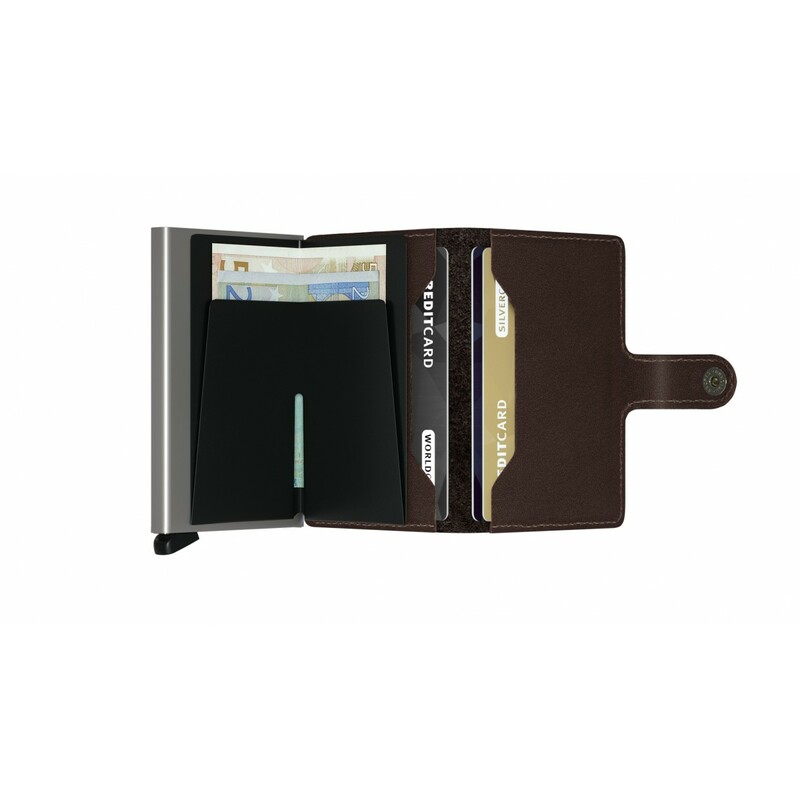 The Miniwallet is one of the most iconic Secrid wallets. It's the perfect all-rounder, compact in size but large in capacity. The design makes it secure and comfortable to use. Each Miniwallet has the aluminum Cardprotector inside. The patented mechanism provides a simple and fast access to your cards. Push the lever and the cards slide out smoothly, ready for immediate use. 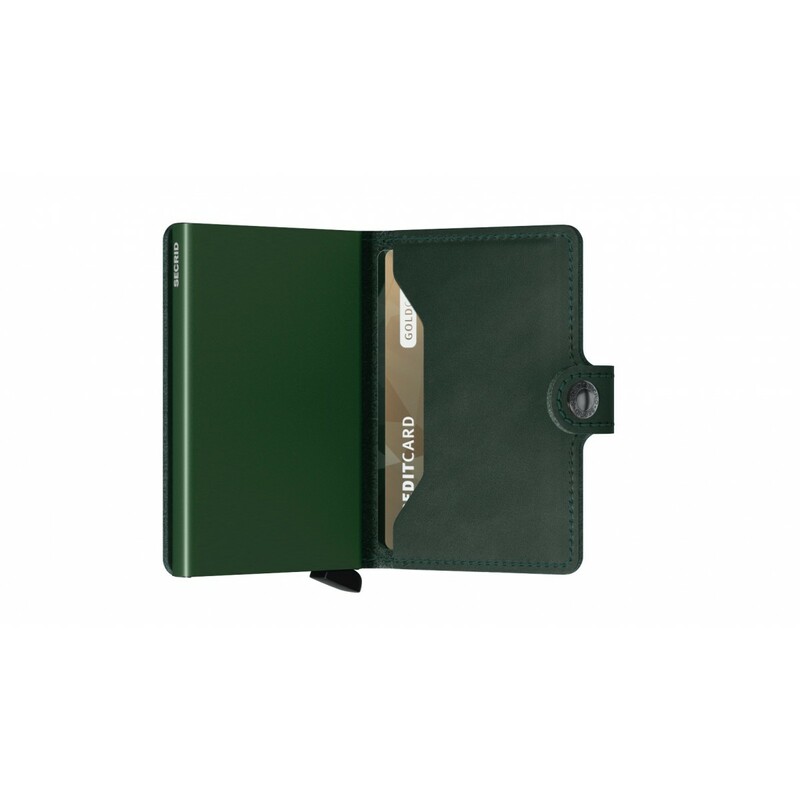 The strong case protects the cards against bending, breaking and unauthorised wireless scanning. The leather billfold offers space for extra cards, banknotes and business cards. The stud closure snaps it shut and keeps everything in check. The cards inside Cardprotector are accessible without opening the leather billfold. Despite the compact size, Miniwallet holds a lot. It has the Cardprotector integrated and the leather billfold offers additional space for cards and banknotes. 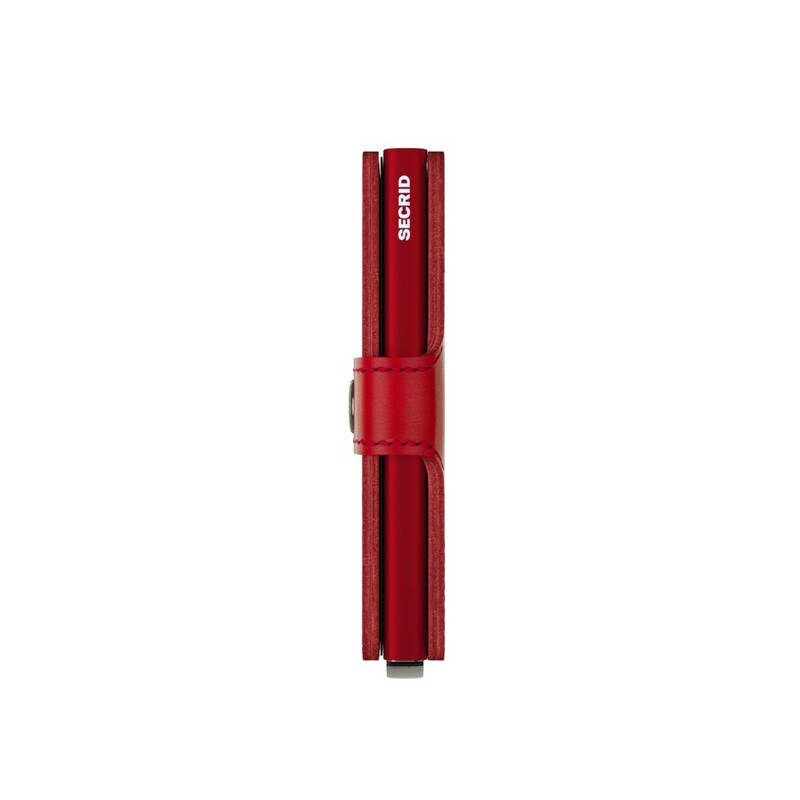 Good quality, sharp design and very practical. a bit too pricy though. 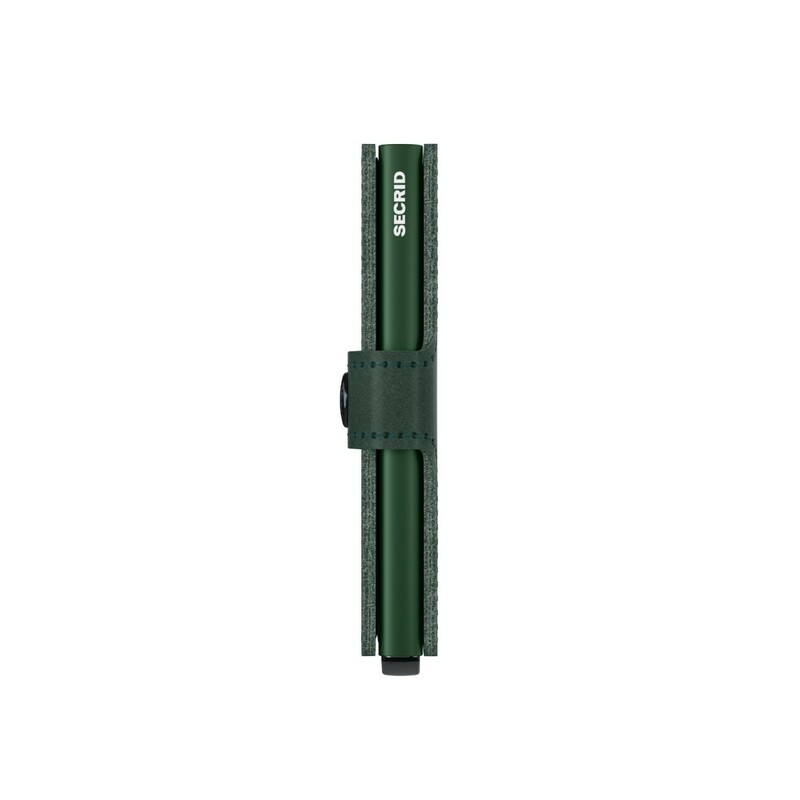 Very good quality product and extremely useful. Everything as I expected. No complaints at all. Excellent quality! Its the third wallet i bought because i am very happy. Build quality is excellent and also after sales policy is fantastic! Well done very good work guys. Very efficient and practical, i like it very much. I am a 100% satisfied! Very convenient wallet, a little bit difficult to take the paper money out, but I think will become easier once I'm becoming use to it. All in all a very good wallet. Love this wallet!! The color is beautiful and its so functional! Thank you. This little wallet is perfect for every day use. 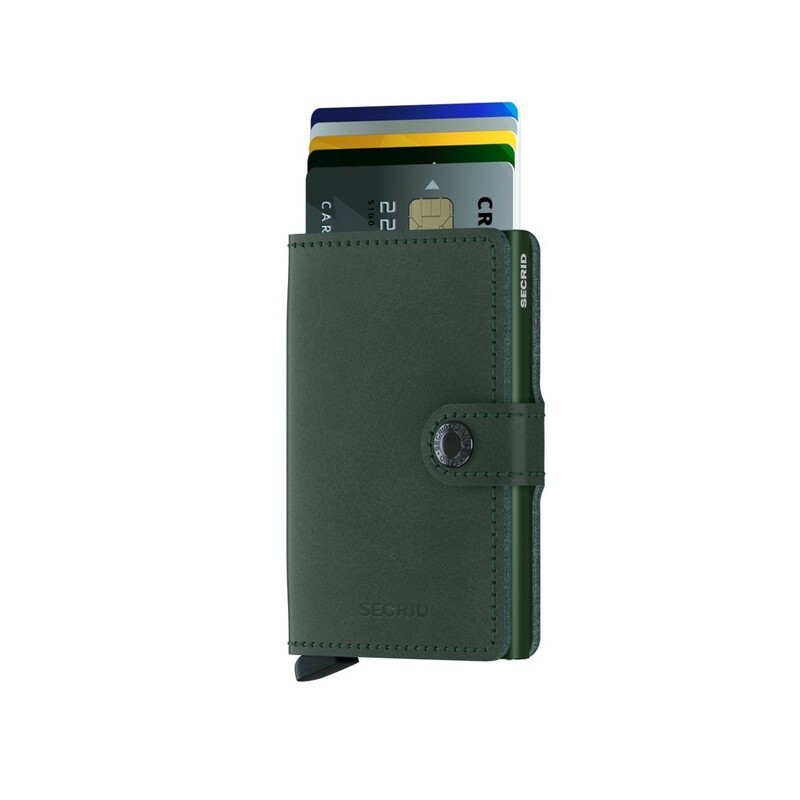 It holds the right number of cards (5, which if you really think about it are the cards you use the most) and it has two pockets in the back that hold a 2-3 more cards that you need but don't use all the time. 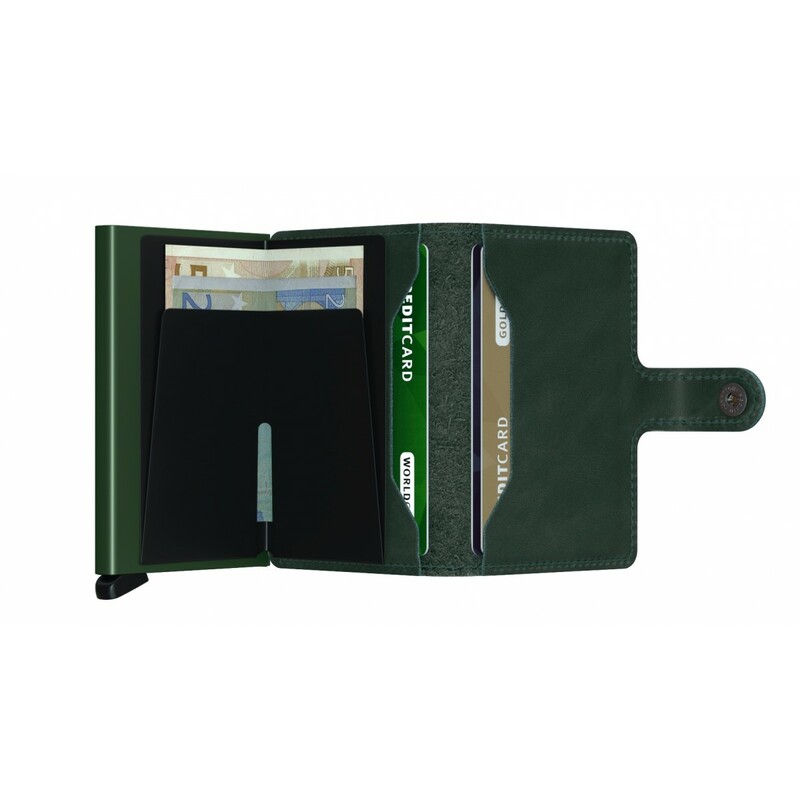 The cash holder can be a little flimsy when trying to pull money out or put money in, and when the wallet is full of cards, you can't put more than a few bills in the bill holder because the wallet won't snap shut. It does bother me though, as I rarely, if ever, carry more than a few dollars on me anyway. The quality of the leather is good and I love the color too. A perfect substitute for the big clunky wallets that take up half your purse (and you have to switch out anyway when using a clutch) which is why I bought it. A bit pricey but worth the money since it has become a permanent staple in my purse. 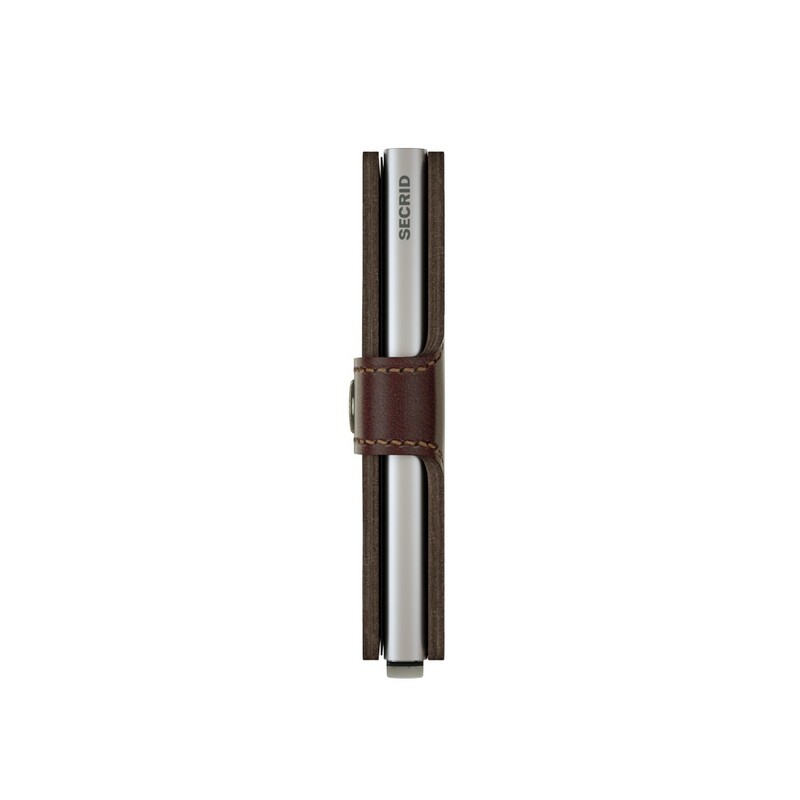 These wallets are beautifully made and have great functionality. The pop up card feature delights evryone who sees it. The website colors are good representations of the actual colors. Shipping to the US took a few days but no problems. My husband and I each purchased a mini wallet a year ago and have been thrilled with them. They are small, sleek and efficient and we have received many inquiries and compliments about them. We purchased two more this year as gifts to our children who were also are thrilled to have them. For women, it is nice to have a wallet that is not heavy and can be put into a pocket and eliminate the need to always carry a purse. Awesome wallet, small and sturdy. The leather is nice and soft and doesn't seem to wear off easily (though oily residues are visible). This is the second Secrid Mini Wallet my wife has owned. She absolutely loves it and prefers this style of wallet over any she has owned in the past. I recently ordered two wallets. I first bought a brown wallet for myself and was very happy with it so a couple of weeks later I bought one in red for my wife. 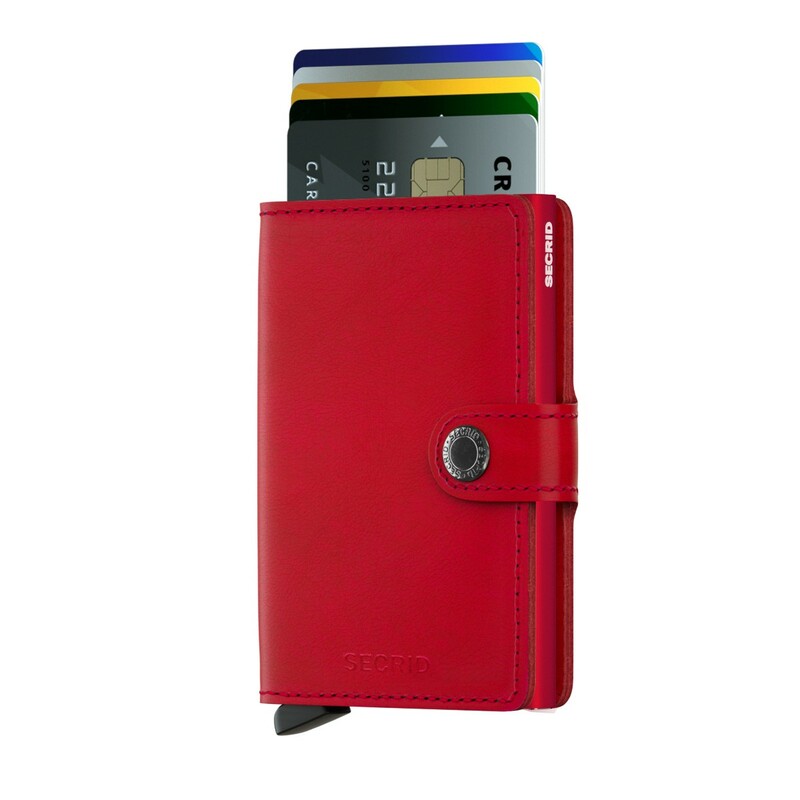 International delivery was by DHL within 3 days of ordering – very pleased with both the wallets and the efficiency of the service – Good job !! I love love love my little wallet. It was perfect gift for my husband:) Very fast delivery (ordered on monday, came in wednesday - to Finland), high quality, looks very good. Kiitos! This is the right present for everyone. 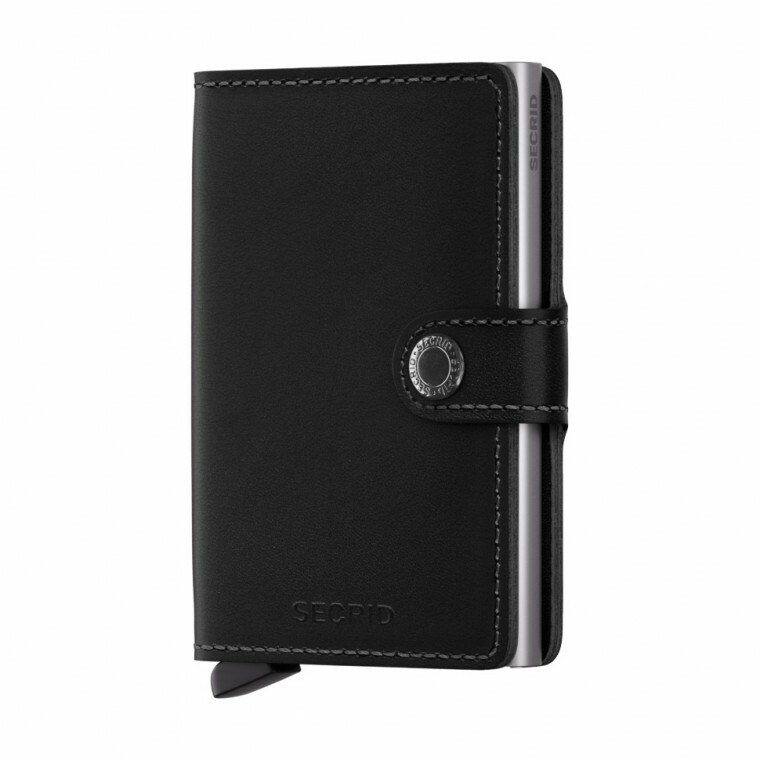 Great luxury wallet, I ordered it even I was a bit sceptic about the idea all my stuff would go in but it worked. The reduce the number of plastic cards is not a problem at all and it fits in the front pocket. Very satisfy with this product. really nice product i love it thank u mukama . -the miniwallet is really great. The only problem was the shiptment. The first shipment stopped obviosly in Estonia but Mukama send me another miniwallet with DHL and it arrived perfectly before christmas. Thank you. Awesome product. There's no need for regular wallets :) Secrid is the best. High-quality product, but slow delivery. Asiallinen ha hyvää tekoa koko lompakko! Mukamalta ostin mukavan lompakon, johonka olen erittäin tyytyväinen. Väri (recycled stone) loistava ja käytettävyys täysi 10. Suosittelen kaikille, jotka haluaa kompaktin lompakon! Tilaamani tuote on juurikin niin loistava kuin osasin odottaa. Nopea toimitus ja kotiin kannettuna. Täydet 10p. Vajaan kuukauden tuotetta käyttäneenä olen todella tyytyväinen. CardProtectorin mekanismi toimii moitteetta eikä sen takia ole tarvinnut pahemmin kukkaro-osuutta availla. Seteleiden pidike on ok; itse en ehkä osaa sitä kovin kätevästi käyttää, mutta eipä käteistä enää muutenkaan kovin usein tule käytettyä. Ainakin omassa käytössä huomattavasti perinteistä lompakkoa kätevämpi ja myös huomattavasti käyttökelpoisempi kuin pelkkä korttikotelo, johon ei taas oikein mahtunut edes seteleitä. Olihan vähän arvokas, mut toimii. Näppärä laite. Olen todella tyytyväinen! Toimitus sujui moiteettomasti ja nopeasti. Ollut itselläni nyt muutavan viikon käytössä ja täytyy sanoa että on todella näppärä. Lompakon monipuolisuus jaksaa ihmetyttää edelleen, pientä lompakkoa kaipaavalle suosittelen. Todellinen tilaihme. Oman käyttökokemuksen mukaan, lompakko toimii hyvin 11 kortilla ja parilla setelillä. Ahtaamalla mahtuu helposti vähän ylikin, mutta lompakon nepparisuljin ei mene tämän jälkeen helposti kiinni. Todella hyvä hankinta. Mukaan mahtuu kaikki tarpeellinen ja korttikotelo todella kätevä käyttää. Toimituksen osalta kaikki sujui kiitettävästi. Kätevä lompakko kortille ja muutamalle setelille. Jo loppu se korttien nyhtäminen lompakon ahtaista nahkataskuista, Todella retee vekotin. Ideal, genau richtig groß, Müpnzen gehen klarerweise nicht viele hinein, aber Geldscheine und die wichtigsten Karten kein Problem, guter Kauf!